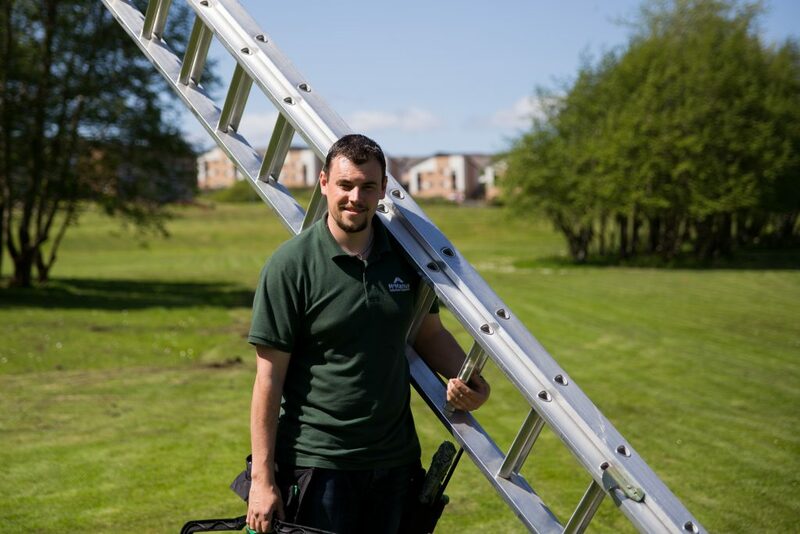 Your property will be in safe hands with our experienced window cleaners, who all have more than a decade of experience, servicing properties in Greenock and Gourock. All our staff are licenced, insured and CBR checked. You can ask for sight of our window cleaner’s licence at anytime, which is granted by Inverclyde Council. This protects you and your property. Giving you the piece of mind knowing that if there is any accidental damage caused by us, your property is covered by our insurance policy. Your window cleaner with be equipped with an extensive range of professional grade equipment made by Unger, which will enable them to safely clean your windows to a high standard. Windows that would otherwise not be possible to clean using ladders can often be cleaned with our range of extension poles. Our staff work up to a height of 20ft using a ladder. This enables them to clean ground and first floor flats. Please note: for communal blocks of flats, we can not clean above the ground and first floor. My name is Gerard McManus, I am from Greenock where I live with my wife and family. My wife and I have been together since we were 16 and married in 2011. We have a two wonderful daughters. One five years old, and the other born March this year. I previously worked in a local retail store through my teens, then in my early twenties started my window cleaning business, which I have run ever since. When I am not cleaning windows, I enjoy spending time with my family, going for walks, and tinkering in the garden when its not too wet.